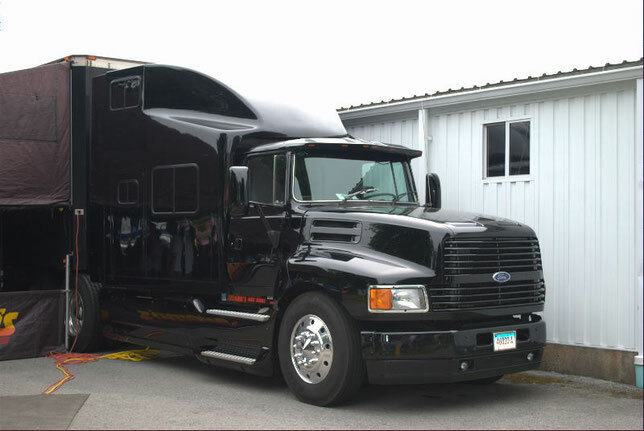 They are created mainly on the basis of "F-350" and Econoline (ie, the tail and the cabin on the open frame). 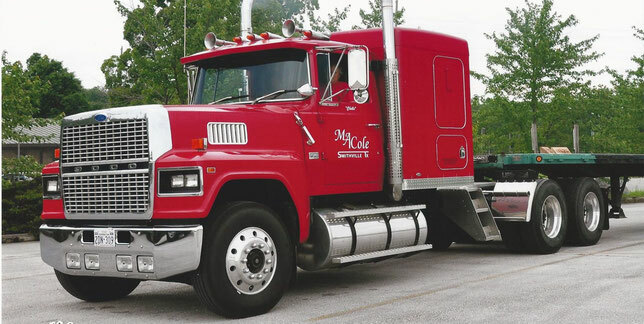 In practice, these are real trucks with solid beams of bridges on the springs, only in a reduced form, with low cabs. The chassis on the basis of the "F-350" has a total weight of up to 4,990 kg and the carrying capacity together with the body - from 2900 (variant with the wheel formula 4x2) to 2580 kg (all-wheel drive). Models based on the Econoline differ with a shortened cabin hood. Also, like the "F-350", they can be delivered without plumage and cab if the customer wants to put another body. The total weight of these machines is 5216 kg. 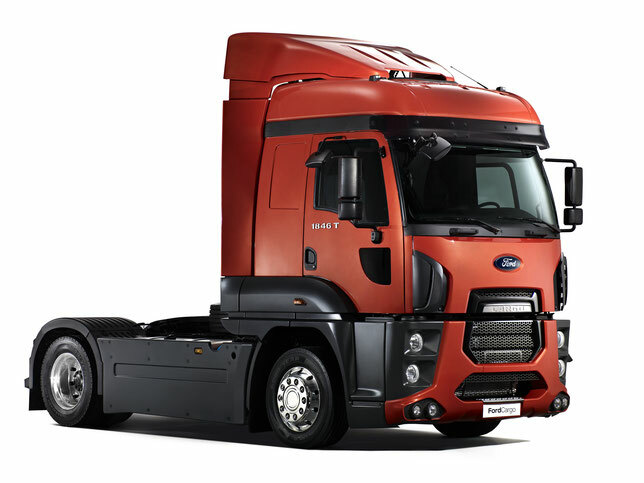 The heaviest of this group of commercial vehicles is the model "F-SD" - a chassis with a pick-up cab in the Super Duty package, the total weight of 6804 kg. This machine already refers to medium-duty trucks, which traditionally for Ford have the designation "F-series" (only not trucks, but Trucks trucks). Ford's "workhorses" "F-series" have a traditional design and a hood arrangement. Together with Chevrolet-Kodiak they remind us of something like our ZIL-130, only in a modern version. If you recall, ZIL-130 is very similar to the Ford and Chevrolet cars of the late 50's and early 60's. "F-series" offers a range of trucks with US-specific model names: "F-SD", "F-600", "F-700", "F-800" and "FT-900". The "F-SD" model, as mentioned above, is a transitional version from a pickup truck to a truck and has a chassis capacity of 4115 - 4300 kg, depending on the length of the base. When installing a lightweight body weighing 400 - 500 kg, the carrying capacity of the car reaches 3.5 - 3.6 tons. Then follow the models "F-6OOLPO" and "F-7 () OLPO" with a lower loading height of the body. Their total weight is from 9525 to 12,700 kg. Variants "F-6OOGLPO" and "F-700GLPO are equipped with gasoline engines with a working volume of 7.0 liters, a capacity of 233 hp, and models without an index" G "- direct injection diesel engines with a working volume of 6.6 liters, a capacity of 167 liters With an amplifier and disc brakes on the front wheels, you can order an air brake system, like on "big" trucks, and instead of a mechanical five-speed gearbox, you can "indulge" and automatic hydromechanical four and five-speed boxes, without which, for example, a constant ride around the city Torment. Models "F-700" and "F-800" according to the American classification refer to both the middle and the heavy class. Their total weight is from 11130 to 15876 kg. Ford-L-9000 with semitrailer for grain transportation. Model "F-600" with a standard cabin height and wheels with a diameter of 22.5 inches can work with a trailer. The total weight of the truck is 9525 - 12700 kg, the road train - 15876 kg. Gasoline engines are not installed on the machine. The total weight of the "F-600" in standard equipment is only 9525 kg. If the customer wants a heavier package, then for an additional fee the machine will be installed with powerful bridges along with the suspension, up to a total maximum weight of 12,700 kg. 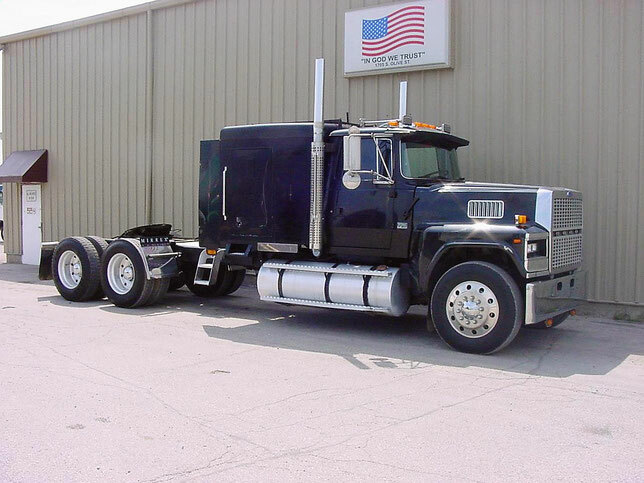 Instead of a standard hydraulic brake system with a vacuum amplifier and disc brakes on the front wheels, you can order an air brake system, like on "large" trucks. And instead of a mechanical five-speed gearbox, you can "indulge" and automatic hydromechanical four and five-speed boxes, without which, for example, the constant driving in the city of torture. Let's remind, to heavy lorries of 8th class concern cars with full weight over 14970 kg. Cars are equipped only with Ford diesel engines with a capacity of I 72 or 187 hp. (Model "F-700") and 192 - 243 hp. (Model "F-800) .The gearboxes are mechanical five-, six-, nine- and ten-step, automatic - four- and five-step.The standard brake systems are pneumohydraulic.The total weight of the road train with tractor" F-700 "is 25.0 t , And with the "F-800" - 34.0 tons. Series "FT-900" has a wheel formula 6x4, the total weight - 20865 - 23587 kg. The engines and gearboxes are the same as the "F-800" series. However, the standard braking system is pneumatic. Ford-AeroMax-120LTLA-9000 with a sleeping compartment within the base. All models of the "F-series" refer to cars of the so-called "medium load", i.e. Are designed for normal operation without extreme operational loads in agriculture, municipal services, construction, etc. The next family of cars carries its own name Cargo. These are the only Ford truck models with a low-lying short cab above the engine, shifted forward. Purpose Cargo - universal, as in previous models. The cars of the family are smaller, they have a higher maneuverability and excellent visibility from the driver's seat. For some types of work, for example, in the municipal economy, this arrangement is most convenient. Trucks "CF-7000" have a total mass of 11250 - 14968 kg with an allowable total weight of the road train of 25.0 tonnes. The "CF-8000" models with a total mass of 12836 - 16330 kg can tow a full-weight truck to 34.0 tonnes, and the three- CFT-8000 "- up to 36.3 tons. Diesel engines only" Ford "manufacturing capacity of 162 - 253 hp, gearboxes - mechanical 5 - 13-step and automatic four-, five-step. The following models belong to the so-called Louisville "L" series, which also have a classic layout with the cab behind the engine, but the cab is mounted higher and as if pushed forward to maximize the use of the front axle loads, and the total overall total length of the hood and The cars "L" - series are designed for more severe operating conditions.